It was earlier said that SJ Suryah might direct a sequel of his superhit love story Kushi released in 2000, with Vijay again in the lead role. 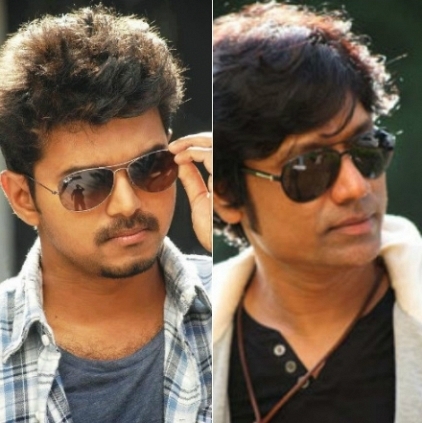 But now that Vijay’s dates are full, we hear that SJ Suryah apparently has plans to make that script in Telugu with Powerstar Pawan Kalyan playing the protagonist. It must be noted that SJ Suryah remade Kushi in Telugu as well in 2001 with Pawan Kalyan as the lead and it gave huge break for now sensational star of Tollywood. We hear that the talks are on for Kushi 2 and Eros International is expected to fund this project if things get finalized. Pawan who is reportedly busy with his current film Sardaar Gabbar Singh might begin this project by May. A hostage drama in a video chat room.. Here's the winners of SICA election! Powerstar Pawan Kalyan's Birthday Starts With A Mass-class Teaser. Powerstar Is Ready For His Next ! Powerstar Takes The Rajini Route. Powerstar Pawan Kalyan's Attarintiki Daredi On Road To Becoming The Biggest Blockbuster Of The Year! People looking for online information on Kushi 2, Pawan Kalyan, Powerstar, Sj suryah will find this news story useful.